The Latest in Celebrity News, Red Carpet Moments, Viral Videos and Breaking Celeb Rumors! : Rolling Stone declares THE NEW QUEEN OF POP! 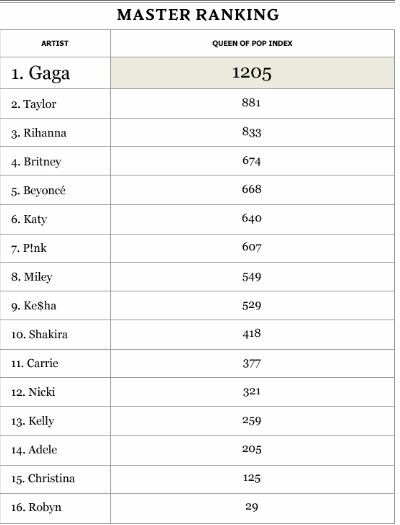 Rolling Stone declares THE NEW QUEEN OF POP! Did your fave make the list??? Tell me in the comments..